Pain in our bodies is usually there to tell us something. It’s a messenger. If your ankle hurts after a fall, you’ve likely sprained it. Chronic heartburn could be an indication of a hernia. A migraine after a long day might be the result of tension. You could pop an Advil for the ankle or the headache, and take some Mylanta for the sour stomach. And you’d probably get some immediate relief. But you’d only be addressing the symptoms. Unless you treat the root cause (get off the ankle, fix the hernia, or lower your stress levels), you’ll keep experiencing the same pain. Not only that, but the pain can escalate in intensity. Emotional pain in our hearts – and the way we often respond to it – works the same way. When you feel under-appreciated, dissatisfied, frustrated, abandoned, or criticized in your relationship, you want to make the emotional pain go away. Unless you uncover and dissolve the underlying cause of your pain, you will continue to hurt in love. Pain in our hearts – the natural grief and other emotions that all humans feel – is a messenger too! When you feel emotional pain in response to what your date or partner did – or didn’t do – that’s your inner compass telling you that there’s something that needs to be healed on the inside. If you keep experiencing the pain of people leaving you, there is an underlying cause. If you always feel like you’re the one giving in your relationship, there is an underlying cause. If you feel like your partner isn’t sufficiently attracted to you, there is an underlying cause. And you will keep attracting people and situations that trigger your emotional pain – whatever it is. That fight you keep having over and over with your partner will stop. Those players you keep attracting will leave you alone. That ache of dissatisfaction you feel in a relationship will vanish. But recognizing where the challenges stem from can be tricky. After all, they’ve been with you for most of your life. 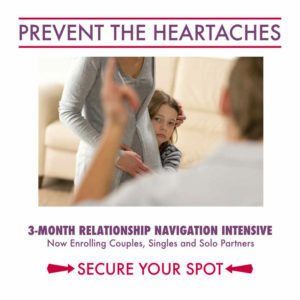 I’m a specialist in helping people tap into the root causes of their relationship pain. 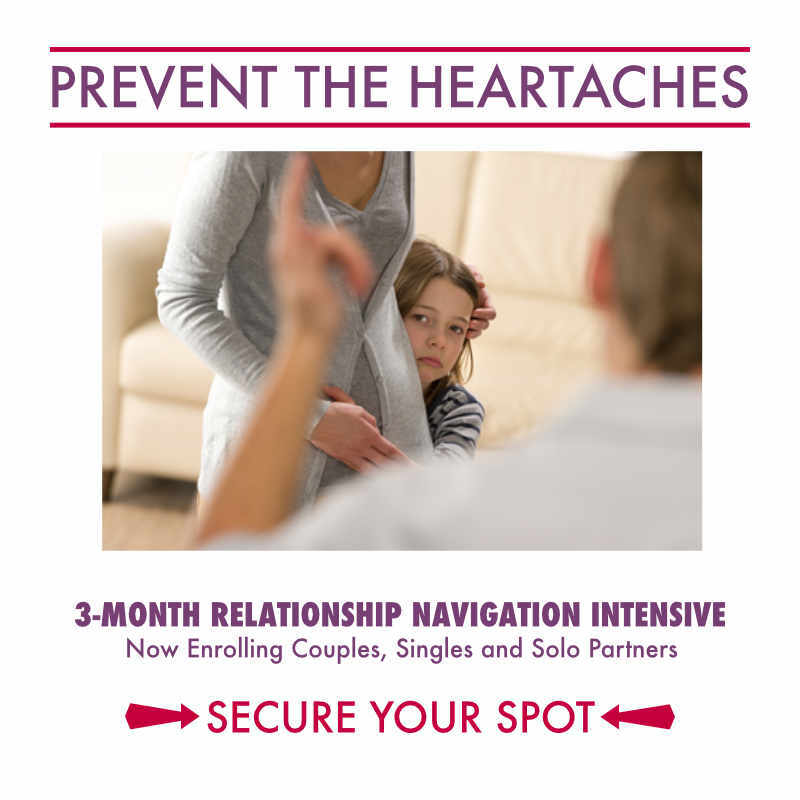 Please consider joining my 3-Month Relationship Navigation Intensive Program. And if you think you ALREADY know the underlying reasons why you and your partner fight, you especially need this program. I’ve found that most couples are completely wrong in their analysis of their own relationships, and their “diagnosis” is usually way off. That’s precisely why they keep running into the same problems and experiencing the same emotional pain! You’ll know how to truly heal your emotional pain and your relationship – and finally know what it’s like to experience healthy, lasting, and blissful love. I would be happy to discuss your situation and how the Relationship Navigation Intensive can help.